This has basically been a really, really good year. Welcome to our Weird Western Bundle, where wide frontiers, flintlocks, whiskey and revenge meet swords, airships, terraforming, magic, myths, and dragons. You'll find stories here set in the snows of old Alaska and the heat of contemporary Arizona, post-Civil War San Francisco and post-colonization planets, and places the seem as familiar as any wooded mountain or wind-swept desert... until tigers and dragons and horses that are so much more than you might assume burst into the scene. 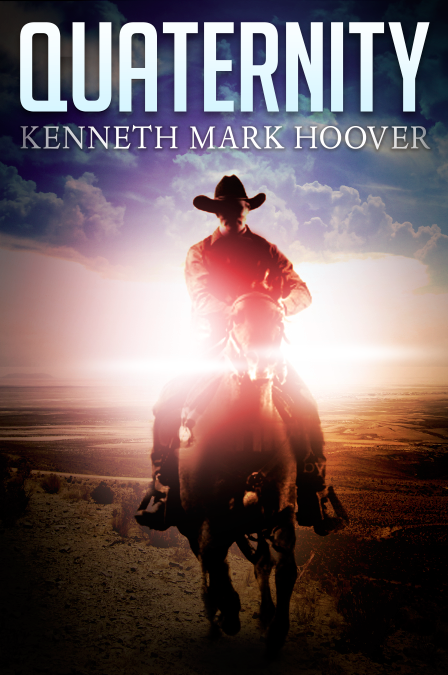 The different aspects of the Weird Western spirit in this bundle will give fans of the genre something they haven't seen before, and folks new to Weird Westerns a wide sampling of its fantastic offerings. I was raised on a combination of SFF and Westerns. Star Trek and Gunsmoke, Asimov and L'Amour, Lonesome Dove and Battlestar Galactica. I was just as thrilled to shake the hand of Hugh O'Brian of Wyatt Earp fame as I was to meet Katherine Kurtz, author of the Deryni world. It's been a joy discovering more writers combining the genres, raising their unique voices, and upsetting the familiar with the fantastic. The result is a Western setting that respects history and the people who created it while spinning in unique powers, esoteric challenges, and the terrifying magic of discovery. You'll learn the secrets behind the post-quarantined expanse of ranchland in James Derry's Idyll, and the reasons the man of Joe Bailey's Spellslinger is ready to make a stand. There's the subterfuge and wild ride of Gemma Files's Book of Tongues, and the smart, snappy adventure of Lindsay Buroker's Flash Gold novellas. Dangerous wonders and determined enemies fill J. Patrick Allen's West of Pale, and Steve White's New Worldbrings chainmail and strange powers to the frontier. 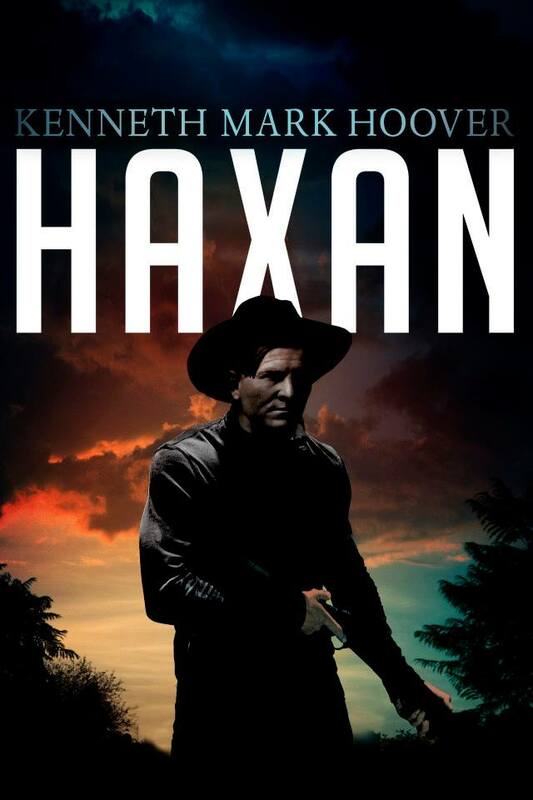 Kyra Halland puts rogue magery and danger in a dusty Western town in Beneath the Canyons, and Kenneth Mark Hoover gives us a time-wandering lawman in Haxan. And I'm thrilled to share the debut of Judith Tarr's first novel of a new series, Dragons in the Earth, set in present-day Arizona, and filled with horses and dragons and the power of the desert itself. StoryBundle let's you choose your own price, so you decide how you'd like to support these awesome writers and their work. For $5—or more if you'd like—you'll receive the basic bundle of four great novels in DRM-free ebook format. For the bonus price of at least $14—or more if you'd like—you'll receive all nine novels. If you choose, a portion of your payment will go toward supporting Mighty Writers and Girls Write Now. Pay what you want (minimum $5): You decide how much these fantastic books are worth to you. If you can only spare a little, that's fine! You'll still get access to a batch of exceptional titles. P.S. : I have Launch Day giveaway codes, if anyone's interested! Please contact me (Gemma) through Facebook. This summer is digesting my brain, bur if I haven't linked to this article about Experimental Film in Ploughshares (http://blog.pshares.org/index.php/every-movie-is-a-ghost-story-on-writing-about-film/) before, I really should've. It's quite brilliant. By the way, this is also the third year in a row that I've been asked to teach my course about writing what you fear--still cunningly entitled Write What You Fear--at Litreactor. It starts October 18, 2016, so if you've got the money and you're interested in getting feedback from me, please do sign up. The deets are here (https://litreactor.com/classes/write-what-you-fear). "Somebody asked me last night [it was Dale Bailey], how long did this book take to write? And I said sort of four years and sort of four months...but really, I think in a lot of ways it's a book I've been rehearsing and preparing for all of my life. It's also very personal in a way that all my other work isn't, necessarily, so for it to be received with such grace and enthusiasm has been staggering. None of this would be possible without my friend, my family, my husband and my son. I'd like to thank ChiZine Publications and the ladies of the Bellefire Club, who mothered this book into existence, and every movie I've ever viewed or reviewed. I'd also like to thank Canada, cold land of identity disorders, the source of all my neuroses and whatever power I derive from them. When I first got word of this nomination, I thought that if I could win just one award, I'd want it to be this one. Thank you all for letting me live my dream. As Eleanor [from The Haunting of Hill House] might say, I got my cup of stars." 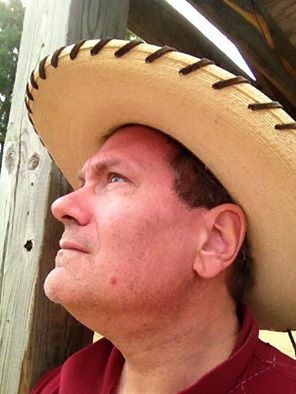 8:00 PM C The Works of Clark Ashton Smith. Michael Cisco, Gemma Files, Lila Garrott, Tim Powers, Darrell Schweitzer. It has been over a century since Clark Ashton Smith's first publications, when his first book of poetry appeared in 1912. He was something of a prodigy in those days, nineteen years old and being heralded by newspapers in California as a newly discovered genius, the Keats of the Sierras. He became acquainted with Lovecraft when Lovecraft wrote Smith a fan letter. We honor (and read) Clark Ashton Smith today precisely because he is unique. He spoke to us in a voice like no other, and he gave us visions of strangeness like no other. He was out of step with his times and proud of it. Join our panelists for a discussion of the works of the most recent winner of the Cordwainer Smith Rediscovery Award. 9:00 PM 5 The Life and Times of Mary Sue . Gillian Daniels, Gemma Files, Ben Francisco, Barbara Krasnoff (moderator), Natalie Luhrs. New Republic senior editor Jeet Heer wrote, in a short Twitter essay about Mary Sues, "The popularity of the term 'Mary Sue' really says everything you need to know about sexism in fandom/nerdom." Instead of unpacking the concept of Mary Sue, we'd like to zero in on the troubled history of this term, why it's troubled, and how better to talk about "self-insertion" in fiction without the sexism. 3:00 PM AT Autographs. C.S.E. Cooney, Gemma Files. 8:00 PM A Reading: Gemma Files. Gemma Files. Gemma Files reads from an upcoming novella "Coffle." 11:00 AM CL Kaffeeklatsch. Samuel Delany, Gemma Files. 1:00 PM 5 Tanith Lee - A Retrospective. Mike Allen, Gemma Files, Lila Garrott, Theodora Goss (leader), Sonya Taaffe. Tanith Lee authored over 90 novels and 300 short stories, a children's picture book, poems, and television episodes. In 1980, she became the first woman to win the British Fantasy Award best novel award, for her book Death's Master. Yet in 2010, Tanith Lee mentioned she was still writing novels, and consistently publishing short stories, but publishers were not interested in her longer works. Lee's impact on the genres that make up slipstream fiction was significant. What leads a publisher to look at works from an influential, established writer and decide they are not worth the shelf space? How can we keep Lee in print, and in people's minds? There's a cache of lost films at the centre of Experimental Film, the fine, compelling novel by Gemma Files. The movies were made in the early years of the 20th century by a woman who herself went missing during what should have been a routine train journey to Toronto. Shot on highly unstable silver nitrate stock, the short films are variations on the same subject: a mysterious, veiled woman, her dress ornamented with beads or mirrors that make her flash and shimmer. She moves through a stylized farm landscape, bending to speak to a child labourer, when it becomes apparent that she is holding a sword in one hand. Lois Cairns, the narrator-protagonist of the novel, first becomes aware of Iris Dunlopp Whitcomb's work at a screening of new independent Canadian films she is covering for a film publication. One of the filmmakers includes an excerpt from one of the lost movies in his Untitled 13. The result affects Lois profoundly, viscerally, leading her to interview Wrob Barney about the footage he's sampled. That conversation sets Lois on the path of investigating Iris Whitcomb's life and art. A film historian as well as critic, Lois immediately understands the earthshaking implications of the lost movies for the history of women in film, especially women who produced and directed their own work. She contacts a former student of hers, Safie Hewsen, now a budding filmmaker, and enlists her in documenting the search for Iris Whitcomb's films. It isn't very long, however, before a series of escalatingly strange and unnerving events connected to her inquiry cause Lois to realize that there might be more to the missing movies than she anticipated. Her research reveals that the subject of Iris Whitcomb's films is a minor deity from Wendish mythology, Lady Midday, who interrogates farm labourers to learn if they are performing their work well and whole-heartedly. Gradually, Lois understands that what she at first took for dramatizations of a somewhat esoteric folk tale are in fact recreating encounters with an actual supernatural entity. What's more, Lady Midday has become entangled with Iris Whitcomb's work—especially the last piece she shot—to the extent that it can provide her a means of return in force to a world whose steady forgetting of her has reduced the deity to a fraction of her former strength. The story of the forbidden text is, of course, a mainstay of horror fiction, from Lovecraft's Necronomicon to Barron's Black Guide. The number of works that have made movies their sinister texts is more select, but includes Ramsey Campbell's Ancient Images and Marissa Pessl's Night Film, as well as “each thing I show you is a piece of my death,” the story Files co-wrote with her husband, Stephen Barringer, and which served as something of a dry run for Experimental Film. Where this novel succeeds is in its understanding of film, from the process by which it is made to those by which it is disseminated and discussed; from its history to its culture. Lois Cairns is steeped in movies, and she incorporates her understanding into her narrative, pausing to deliver relevant information when necessary. Lois is a self-conscious narrator, always aware of how she's framing the story she's recounting, and including the reader in her strategizing. The result is an experimental novel about her quest for a set of films whose experimental qualities extend far beyond her expectations. All of this would be impressive enough, but Files gives the story additional weight through her description of Lois's experience as the mother of an autistic child. From the early pages of the novel, Files shows the challenges Lois confronts in her son, Clark, whose autism causes him to speak mostly in quotations from popular media, and cannot communicate with Lois and Simon, her husband and Clark's father. Lois is unsparing about the trials of raising her son, but she leavens her bluntness with enough wit and warmth to bring her love for her son to complicated life. Clark's occasional distance from Lois, her remove from her idea of a stereotypical mother, expand the novel's concern with the lost, with what is missing, and give it an added poignancy. At the same time, the novel's evocation of Toronto and the community of its filmmakers and critics results in a vivid sense of place. Details about the city's geography combine with details about the men and women who populate its film culture to create a setting that is an integral part of the narrative. Experimental Film could not happen in any other place and be the same novel: this is very much a Canadian book, concerned with the history and current state of Canadian filmmaking. The recent republication of Gemma Files's first two collections of short fiction, Kissing Carrion and The Worm in Every Heart, was a reminder of how long and how well she has been writing. 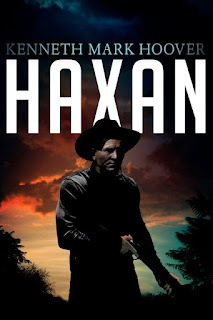 The last several years have seen a welcome uptick in her output, from the cosmic horror horse opera of the Hexslinger series to the story cycle that comprises We Will All Go Down Together, not to mention her stories in any number of anthologies. Experimental Film represents the next significant contribution to what is emerging as one of the most interesting and exciting bodies of work currently being produced in the horror field. Every film, Lois Cairns writes, is an experiment. The same might be said of every novel. This one succeeds, wildly. I've been re-reading Peter Straub's Ghost Story and making notes about what I like to call the Haunted Mechanical Dollhouse method of horror: invent a small town full of characters with secrets like you're cobbling together some sort of spook-ride Rube Goldberg machine, lay in orbiting outliers (both threats and and potential protagonists), then make them converge to start the whole thing running. There's a clear resonance with M.R. James's "The Haunted Doll's House," obviously, because part of the machine's power comes from showing how whatever happened in the past drives what will happen in the present/future; there's a definite pattern already set, forcing characters to re-enact earlier tragedies or bring events already in motion to their full flowering. It's a template prefaced in Stephen King's Salem's Lot, then directly mirrored between Straub's Floating Dragon vs. King's It, but going on to further replicate itself throughout subsequent horror history over and over ever since, from Michael MacDowell's Cold Moon Over Babylon to Michael Rowe's Enter, Night. I just see it as "starting" with Ghost Story, because that's my particular entry-point—my wheelhouse, if you will, particularly since I can never entirely separate my own personal experience of Ghost Story from King's own analysis of it in Danse Macabre, which essentially begins with him elevating it as a prospective cornerstone of the New Horror canon. In both Salem's Lot and Ghost Story, ancient guilt and present greed combine to open the door for an incursion of outside evil into the heart of the familiar, the domestic; the same pattern repeats in It and Floating Dragon, almost to the letter, as a formerly Good Place (an innocuous place, at any rate—a normal place) is slowly converted into a Bad Place, its own troll-mirror reflection, worthy of being sown with salt. Much like a town-wide possession, all four books begin with the obsessive phase: a presentiment of fate and mortality, dreams and visions like warnings from the subconscious. This is quickly followed by a series of stalkings, accidents, suicides and murders that resonate with earlier, forgotten crimes, eventually escalating into a disaster that cuts the town off from any semblance of help before erasing it entirely. (In the case of 'Salem's Lot, Maine, this cleansing involves fire, while Ghost Story's Milburn, New York, is consumed by and entombed in snow.) Then ghosts/monsters descend, making your home theirs, primarily by revealing that invisible monsters and ghosts-to-be have in fact always inhabited it—that they have always been your neighbours, just as you have always been potentially one of them yourself. For those who haven't read it recently, Ghost Story's basic plot goes like this: As young men, Ricky Hawthorne, Sears James, Edward Wanderly, Lewis Benedikt and John Jaffrey accidentally kill a woman—or what appears to be a woman—named Eva Galli, a minor Hollywood silent screen starlet who descends on their staid hometown like a hurricane in a flapper dress, intentionally provoking in all of them something that begins as idealized love before becoming something far more tainted, converting at the absolute last minute to disgusted sexual rage. Consumed with panic over the prospect of punishment, these “boys”—who will later grow up to be pillars of the Milburn community and form the Chowder Society, a club that meets monthly to drink and tell each other ghost stories—place Eva's body in a borrowed car that they then push into a nearby lake, only to be scarred for life by the horrifying sight of her supposedly dead face staring from the vehicle's back window as it sinks beneath the surface. Shaken, they take a vow to keep her death a secret, and go on with their lives. Fifty years later, the group still lives in Milburn, outwardly prosperous and content, relying on the Chowder Society as their only method of diffusing the hovering fear that still clings to each of them. However, things start to change after Edward Wanderly dies—possibly of a heart attack, possibly from sheer fright—during a party he's elected to give in honour of a young actress named “Anne-Veronica Moore,” who later turns out to be another version of Eva. The remaining Chowder Society members experience a series of prophetic dreams in which they witness each other's deaths. Unable to admit to themselves that the shapeshifting entity they once knew as Eva has returned to haunt them, they send for Don Wanderley, Ed's nephew, a writer whose recent horror novel The Nightwatcher is based on his own experiences with Eva, known to him as “Alma Mobley.” With Don's arrival in Milburn, Eva's campaign of terror ramps up considerably, aided by two more phantoms who act as her minions—Gregory and Fenny Bate, earlier cited by Sears James in his most recent Chowder Society tale. Two more members die, after which the survivors band with Don and Peter Barnes, a young man whose mother is an early casualty of the struggle. Together, they locate and wound their nemesis, forcing her to flee Milburn and re-set the clock for another try; working on instinct, Don later manages to find Eva's latest incarnation, a child named “Angie Maule,” and finally destroy her. Nowhere has this feeling been better explored cinematically, however, than in the movies of David Lynch, who talks in Lynch on Lynch about how everyone has their own very specific shock totems and dread fetishes, impossible to communicate to others. He tells an anecdote about a sound designer friend of his who had a recurring dream that he was watching a tire roll back and forth in a sort of decaying gravitational orbit but never quite settling, paralyzed by the inexplicably terrifying knowledge that it would eventually fall over, yet unable to predict when that would actually happen—“And that was bad, you know? Really bad.” It's an effect that's very difficult to create and almost impossible to sustain, especially over long periods of time; the trick is to try and defeat audience expectations, achieving a practical reach-around on every human being's innate pattern-decoding intelligence, especially those for whom storytelling is a habit. Thus Lynch's decision to not provide any scene-break tracks in the DVD version of Mulholland Drive, which clearly embodies his dislike of letting an audience know what they're in for, or allowing them any sort of easy escape from the mood he's working so hard to immerse them in. But in most cases, the realm of the liminal has historically been assumed to be best occupied by female authors, which is why the ghost story was once thought of as an innately “feminine” genre. Shirley Jackson, who supported her horror novel-writing habit by turning out Irma Bombeck-style satirical autobiographies about family life, used her “I'm just a housewife” pose to inject alienation and existential despair into the simplest of 1950s gender-essentialist routines; her haunted houses are full of domestic ruin, casual impoliteness, poisonous food and cursed bric-a-brac, unruly (girl-)children and unreliable parents—the very antithesis of a spread in Good Housekeeping, on every conceivable level. The Uncanny permeates her work, rendering life's most familiar accoutrements as abruptly alien as though things have slipped sideways in time, or been caught in a certain slant of light that reveals them as profane copies of themselves. How this background line of thematic descent translates to Ghost Story begins with Eva Galli's original refusal to conform to what the Chowder Society boys initially assume she is and/or want her to be: a helpmeet, a comfort, an enabler; an ideal, not an eidolon. From the very beginning, she makes it clear that she's not going to submit to being turned into the Angel of any of their houses, not going to allow herself to be caught and made into wife, mistress or whore—that she won't (can't) be limited in that way, or any other. And that's because essentially, Eva Galli isn't “just” a woman, no matter how often she may choose to present herself as one; she is something completely different, completely inhuman. Though her influence appears to be echoed in the ostensibly similarly nonconformist sexual freedom of Ricky Hawthorne's Noir film glamourous wife, Stella, who counters the menaces of a scorned lover by off-handedly threatening to stick a hatpin in his neck, it's proud monster Eva—the story's true femme fatale—who shatters the mold of societal expectation for proper female behaviour outright. Similarly, it makes sense that the “nightwatchers” themselves, Ghost Story's main breed of monster-ghost, come to be understood best as a fascinating amalgam of every haunting the Chowder Society has ever told tales of, a sort of unified field theory stringing everything that scares us in any given ghost story together, then crediting that fear retroactively to the cyclical interactions with humanity of an offshoot species that appears to feed on pain, fear, misery...David Lynch's basic Twin Peaks garmonbozia mixture. Much like Lynch's Man From Another Place, the nightwatchers appear to exist parallel to us, intersecting our reality from some other dimension in a way that involves bending time and space—the realm of dream, but also the realm of death. They make jokes about history, popping back and forth between eras at will. They are beautiful and terrible, tainted and proud, vicious and vain, poetic and C.S. Lewis-style Satan-practical all at once. Some of them—Gregory and Fenny—appear to have once been human, but have chosen to sell or debride themselves of their own souls in order to live forever as zombie echoes, sowing chaos eternally. Others, like “Eva Galli,” appear to have never been entirely human at all, yet still share a kinship with and addiction to human evil. It's this same kinship that forms their only weakness, their rare vulnerability to mortality. In other words, Ghost Story subtextually teaches us that because the only thing we know to be completely true about the state of being human is that we all eventually die, anything that's even slightly human can therefore eventually be killed if you're only willing to sacrifice enough, but not too much: retain love, retain laughter, retain the ability to make and maintain connections and to hope against hope, even in the face of utter nihilistic horror. All the things about us the “nightwatchers”—our bad dreams made creepily flexible flesh—both understand least and dislike most, the things they most long to poison and destroy. Thus we return once more to Ghost Story's inherent refrain, possibly the inherent refrain of all ghost stories: "I saw a ghost," which becomes "I am a ghost," before finally becoming: "You are a ghost." "I am you, Don," as "Angie Maule" claims, among others. To which young would-be hero Peter Barnes indignantly replies, quoting Gregory Bate: "He said he was ME, I want to KILL him." But can we ever truly know ourselves, let alone anyone else? In a last twist, it's identity itself—slippery and liminal, innately Uncanny—that becomes the final horror at the bottom of Ghost Story's thematic cracker-box, the motor that keeps the Haunted Clockwork Dollhouse running. Nothing is what is seems on the surface, no person and no object, especially those people who most often get treated as objects by society at large: children, wives, women, possessions flipping unnoticed into possessors, shapeshifters destroying the structure which dares to try and hold them static. Removed due to its impending appearance in Thinking Horror #2: The Horror Boom. So now it can be told! The nominations for the 2015 Shirley Jackson Awards are finally out, here (http://www.shirleyjacksonawards.org/nominees/), and I'm very happy indeed to announce that Experimental Film has been nominated in the Best Novel category. As I told my Mom, if I had to ask for one award to be nominated for, this'd be it. ;) So I am basically over the moon. Naturally, I'll be attending this year's Readercon, and look forward to receiving my stone (so I can throw it at whoever wins instead of me, ha ha, totally a joke). Yes!